4. 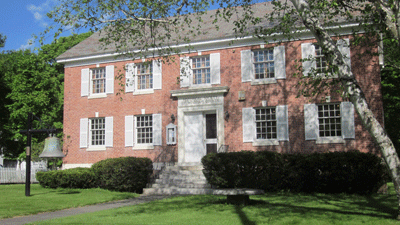 The Museum of the Historical Society of Windham County is on the east side of Route 30 in the Historic Village of Newfane, diagonally across from the County Courthouse and the Newfane Common. The County Museum is open from Memorial Day weekend in May through Columbus Day weekend in October, and is located on the main street (Rt.30) in Newfane, VT.
5. The West River Railroad Museum is a short walk from the County Museum, on Cemetery Hill Road. WRRR Museum hours: Saturdays and Sundays from Memorial Day weekend through Columbus Day weekend, Noon to 5:00PM. Inquiries are welcome year round. Feel free to contact us any time.